Lees-McRae is a private, four-year residential college situated on 450 acres in the beautiful mountain valley of Banner Elk, North Carolina. Founded in 1900, Lees-McRae offers more than twenty diverse degree programs, strong NCAA Division II athletic programs, and expert faculty guidance to over 1,000 students. Lees-McRae partnered with Beacon to develop and design a website that emphasized Lees-McRae’s brand and messaging consistently throughout. The visually engaging website has a firm foundation of best practices for higher education, accessibility, and performance across multiple devices and browsers. The Cascade CMS templates were built with modularity in mind, allowing for highly customizable pages that are easy to maintain. Each page features various elements that content creators can choose to use such as right column navigation, full-width banners, and custom widgets. The unique “Find Your Place” feature on the homepage shows an aerial view of the campus, allowing users to click on various areas to learn more. On mobile devices, the "Find Your Place" feature collapses to mobile-friendly boxes showing swipeable, numbered images. 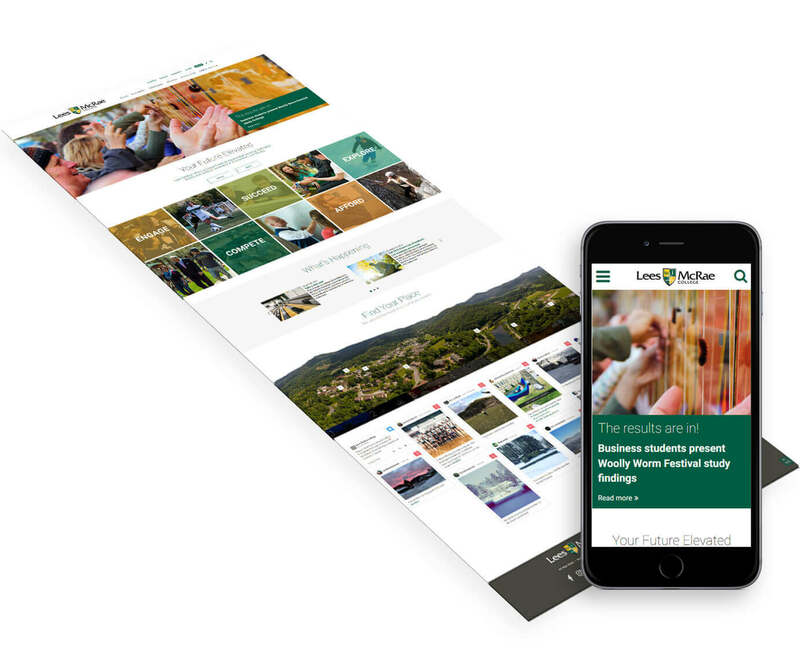 Teamwork was key as Beacon and Lees-McRae worked together closely through the analysis, design, development, content migration, testing, and launch of this incredible new website in only 9 months!